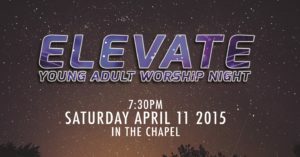 Introducing Elevate – a Young Adult Worship Night. 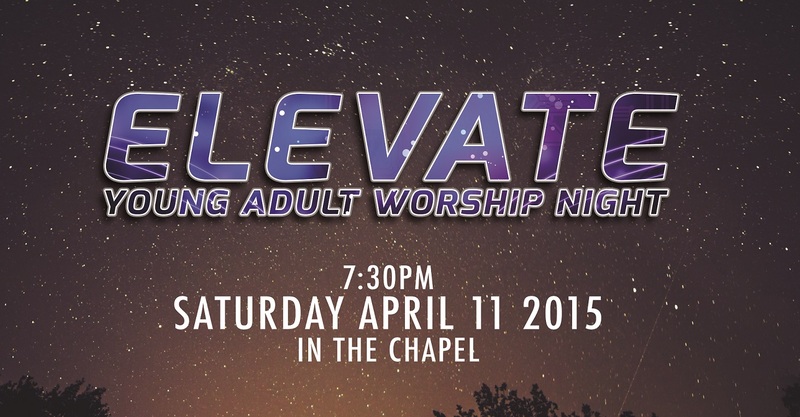 Come to our kick-off in the Chapel as we praise our Lord together! We’ll have worship plus a short message. All Young Adult Home Groups are cancelled for this evening.